Man, don’t you miss the good old days when coaches could get away with whatever they wanted? Are you sick of these snowflake athletes who can’t put up with some bullying? Do you think it’s time someone stood up for verbal abuse? 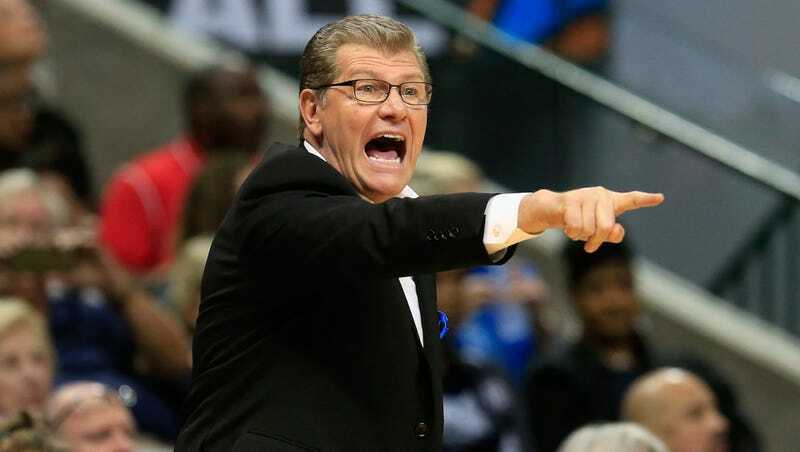 Guess what, Geno Auriemma’s finally the one to take that stand. Thank you sir! Yet the players get off scot-free in everything. They can do whatever they want. They don’t like something you say to them, they transfer. Coaches, they have to coach with one hand behind their back. Why? Because some people have abused the role of a coach. To Auriemma, anything that dilutes the authoritarian purity of the institution of the head coach is bad. College players getting to push back against bullying and other hardass nonsense obviously fits this bill, since they’ve never had any sort of agency, and complaining about a coach’s abusive behavior is at least a check on power. 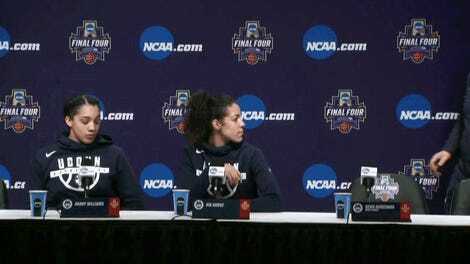 Auriemma’s comments came shortly after Georgia Tech coach MaChelle Joseph was fired following an investigation that found she was “mentally, emotionally and verbally abusive,” and that she forced them to play through injury. This week, the women’s basketball staff at North Carolina was placed on administrative leave because of “issues raised by student-athletes.” Nebraska’s Connie Yori and Loyola Chicago’s Sheryl Swoopes also left their jobs in recent years after their players alleged verbal abuse. I think this generation is not tolerant. That’s not a bad thing. But back in the day, coaches could pretty much do anything, say anything. Nobody really complained. Now [players] know better. They’re demanding to be treated better. [But] kids are going to get yelled at. They need to be able to take a little bit of that. Both McGraw and Auriemma are clearly upset that coaches can’t treat players however they want anymore, and the idea of being forced to not be assholes to people they see as underlings terrifies them. Since that’s obviously a good thing, complaining about having to be nicer to players is an impressive feat of telling on oneself. Anyway, on a wholly unrelated note, if you know about any coaches abusing their power, you can always contact us at tips@deadspin.com.